Kitchen fire suppression systems require proper service and maintenance. Staying on top of NFPA codes isn't easy, but it's key to maintaining compliance and reducing the risk of a kitchen fire. 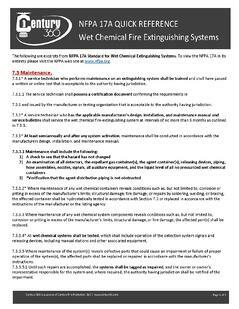 We've put together a quick guide from the testing and maintenance chapter of NFPA 17A The Standard for Wet Chemical Extinguishing Systems to help you navigate the code. For more information on Kitchen Hood Suppression Systems check out our blog.